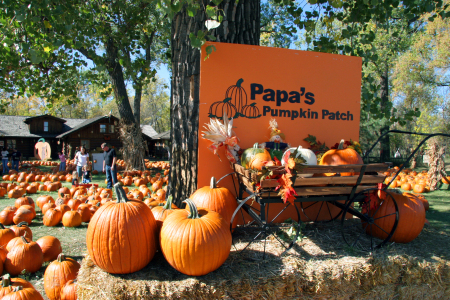 On September 15th, The GOD’S CHILD Project will be a part of Papa’s Pumpkin Patch Midco Day in Bismarck! We will receive a donation from Papa’s Pumpkin Patch based on the number of volunteers who come to help. The event itself is open to the public from 12pm-7pm. The GOD’S CHILD Project will be there from 11:30am-3:30pm, and those are the times we need volunteers for! We still NEED 5 volunteers for this event! Find a friend to volunteer with you and join in on the fun! Volunteers will be used for all different parts of the event, from helping at the obstacle course, to helping kids in and out of zip-line swings, to organizing little pumpkins for groups of kids to take home.